In the spirit of Nelson Mandela International Day 2017, employees of the Port Elizabeth branch of BBF Safety Group rolled up their sleeves to support a cause that is close to the hearts of many South Africans. The Save-a-Pet Foundation is an animal rescue centre located near Greenbushes in Port Elizabeth that rescues, rehabilitates, reunites and re-homes abandoned, abused, lost and stray dogs and cats. Save-a-Pet is a non-profit organisation and relies solely on the support of corporates and individuals to continue its work. Ahead of Nelson Mandela International Day 2017, Save-a-Pet reached out to its community of supporters with an audacious challenge: To collect enough tinned food to feed the entire centre’s dogs and cats for the next year. The goal was ambitious: A total of 6,700 tins of food. Silvana Lennox, Key Account Consultant for the Eastern Cape region at BBF Safety Group, is a passionate supporter of animal welfare and immediately set to work to garner the support of her branch colleagues. “A cornerstone of our company’s corporate ethos is to support the communities where we do business. Having been involved with Save-a-Pet for a number of years, I immediately knew that our support of this initiative was non-negotiable. This is the second year that we’re involved in the centre’s Mandela Day initiative, so naturally we had to raise the bar,” says Lennox. 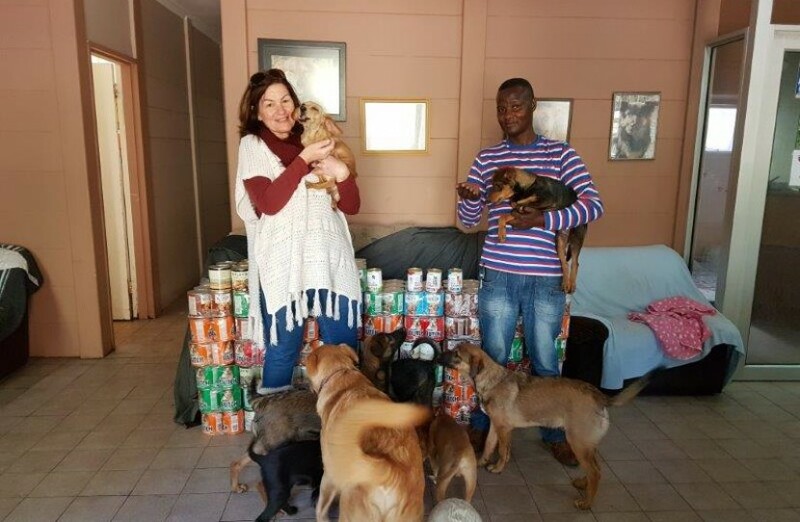 The entire branch got involved to help those who cannot speak for themselves and as a result, BBF Safety Group Port Elizabeth employees donated 312 tins of cat and dog food to Save-a-Pet. Through the involvement of the extended community – businesses, schools, individuals and other supporters – the centre not only met, but exceeded its collection goal. “It was an incredible experience to see how a common goal unites people. Our community’s passion shone bright and made a real impact on the great work done at Save-a-Pet. 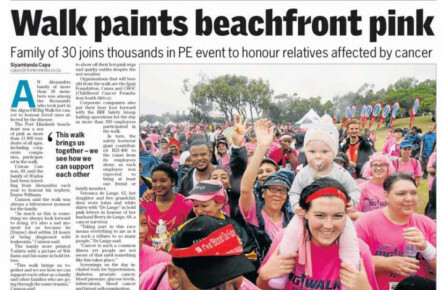 It’s initiatives such as this that make me proud to be a South African,” adds Lennox. For more information on Save-a-Pet, to volunteer or donate visit www.saveapet.co.za.